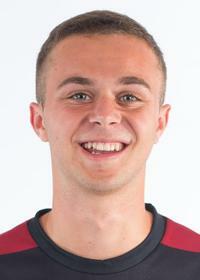 Jared Gilbey is a Center Midfielder entering his Junior year at Stanford, where he is coached by Jeremy Gunn. This native of New York, NY measures in at 5'9", 145 lbs. In 2017, he played in 23 games with 22 starts. During this season, he had 6 assists for a total of 6 points. In 2016, he played in 22 games with 19 starts. During this season, he had 3 assists for a total of 3 points. Jared is a New York Red Bulls Homegrown Player. ©2019 USL League Two / SportsEngine. All Rights Reserved.